The Atayal People are an integral part of Taiwan history who have settled there far before the Han Chinese arrived. 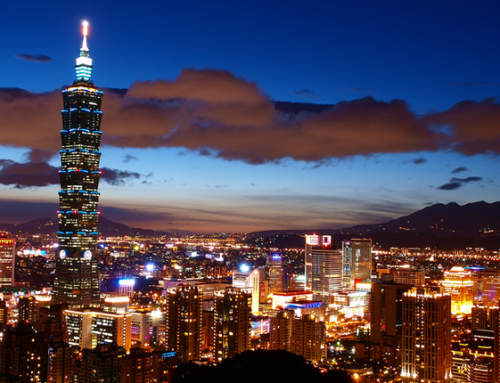 Taiwan is home to a number of Austronesian indigenous groups reported to have arrived as far back as 4000 BC. Some historians dispute their arrival as far back as 8000 BC or earlier. 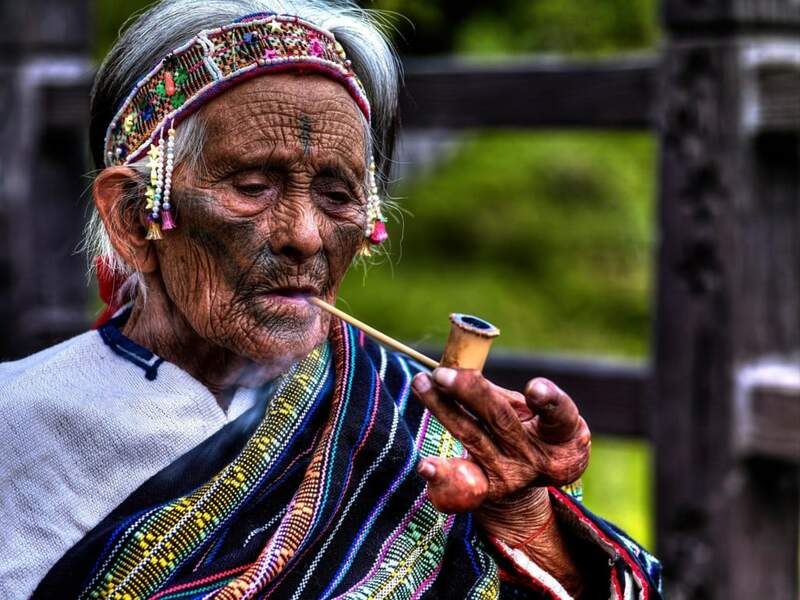 The Atayal people remain as Taiwan’s 2nd largest indigenous tribe today, although considered a minority today with less than 5% left of the population. Wulai is the perfect getaway for a day away from the busyness of Taipei. 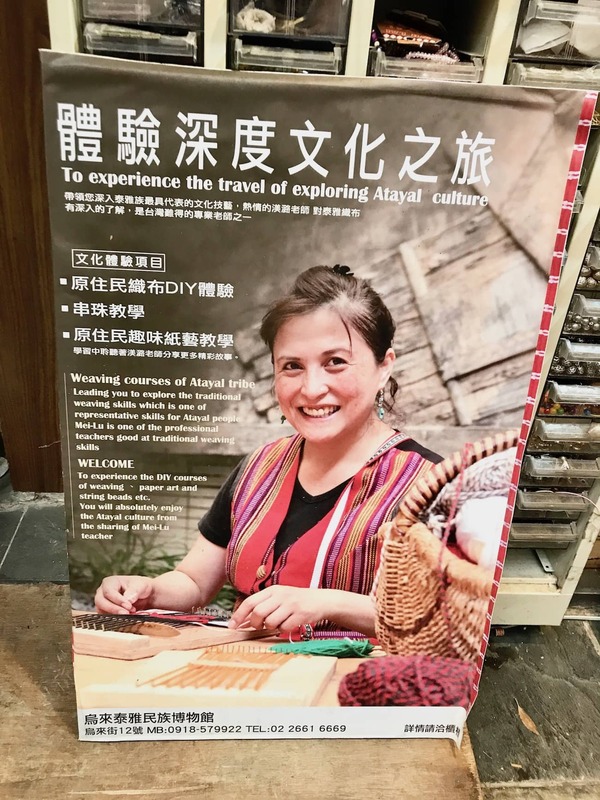 Just a 45 minute ride, a visit to the Atayal Museum in Wulai is a must as well as Mei-Lu’s Coffee & Souvenir shop inside the museum for a stroll down Atayal History. 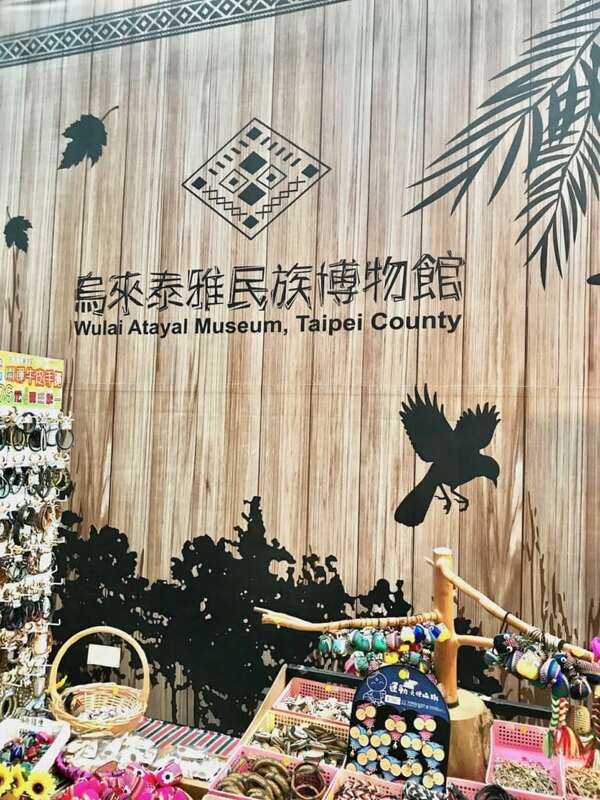 Not only is Wulai the place to go for affordable and relaxing hot springs, it is the place to enrich your knowledge in Taiwanese history through one of their most known Aborigine Culture. 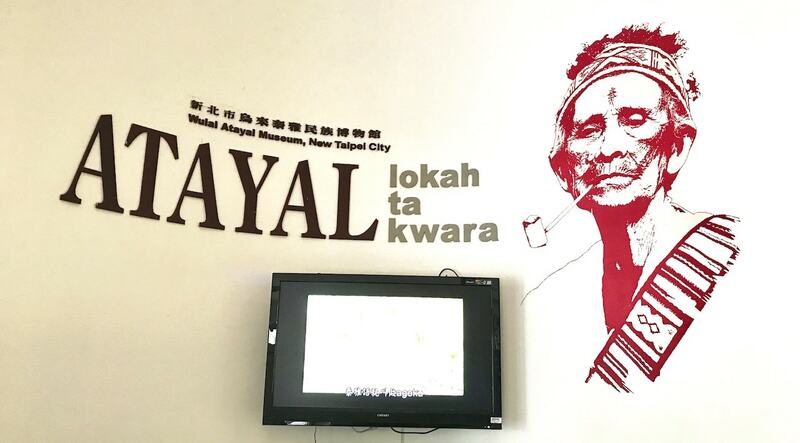 Centered in the midst of Wulai Old Town is the Atayal Museum, one of the highlights of Wulai. Entrance is free for all guests. Spend an hour watching the informative video available upon entrance on Atayal History and Culture. Then stroll through 2 floors of the museum filled with art, history, culture, rituals, festivals and artifacts. Hire a museum guide for an informational tour and learn more about Atayal Culture. Allow your mind to expand into a visual imagery of how the Atayals once lived. Atayal Culture once thrived in two main sectors. For the Atayal males, in Fishing, Hunting, Gathering and Crops. For the females, traditionally in Hand-Weaving, Wood-Working and Net-Knotting. Many Atayal people still hold on to these useful skills as many sell traditional Hand-Weaved crafts (purses, clothing, blankets) to tourists. Today, there are less than 100,000 Atayal people left, representing only 16% of the Taiwanese indigenous population. This makes them the 2nd largest indigenous group in the country. Some studies have shown that they originated from South China while Genetic Studies have disputed their origins from Southeast Asia and Polynesian Islands of Thailand, Phillipines, New Zealand and Polynesian Hawaii. It is very possibly a mix of all as many inter-racial marriages had occurred through the centuries. 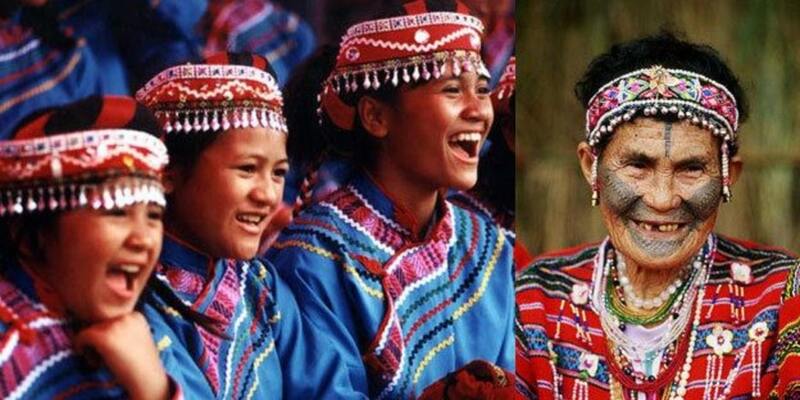 Atayal languages spoken are traditionally Atayal and Sediq although many today also speak Taiwanese and Mandarin. 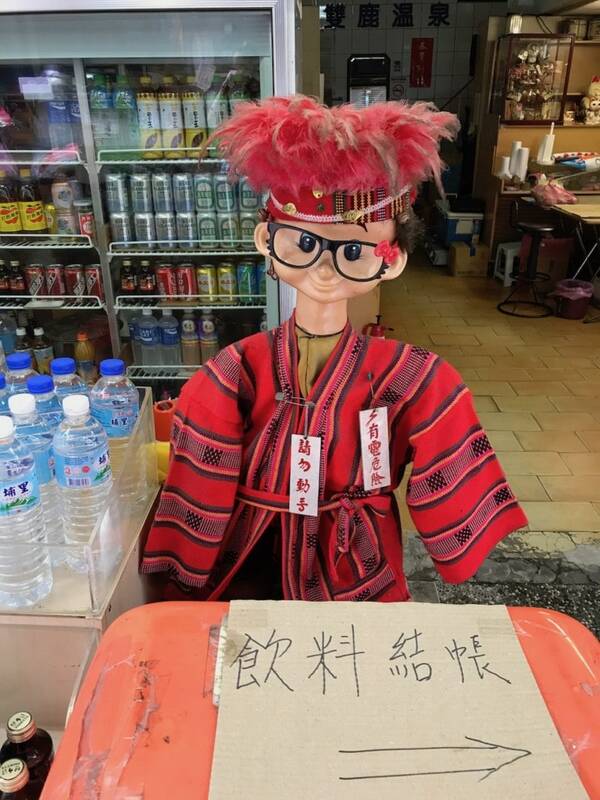 Traditional Atayal Outfit as shown on a friendly Doll. Facial Tattoos were a huge symbol and importance in Ayatal History as a Rite of Passage dating back 1400 years. Today, facial tattoos can mainly only be spotted in the elder living generation. In the past, boys were awarded tattoos between the age of 5 to 15 by proving their worth to the tribe through their skill in hunting and even head-hunting. For girls, they prove their worth by their skill on the loom in hand-weaving. Once you’ve completed your Ayatal History Lesson through the museum, stroll on over to Mei-Lu’s Coffee and Souvenir shop on the main floor. Visiting the shop is a whole experience in itself as we found ourselves feeling right at home with the charismatic owner. 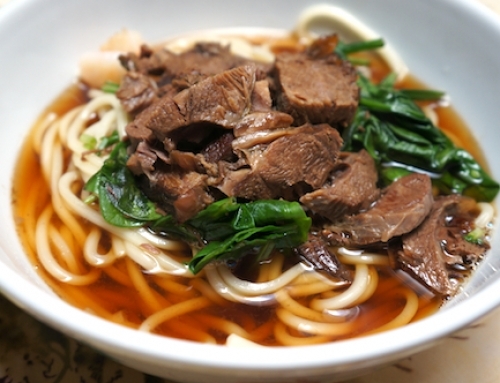 “Mei-Lu”, as named after the ‘Mei-Lu Shan’ (mountain) by her father, was born and raised in Wulai and is of Atayal descent. Her ancestral lineage trace back hundreds of years on the island of Taiwan. 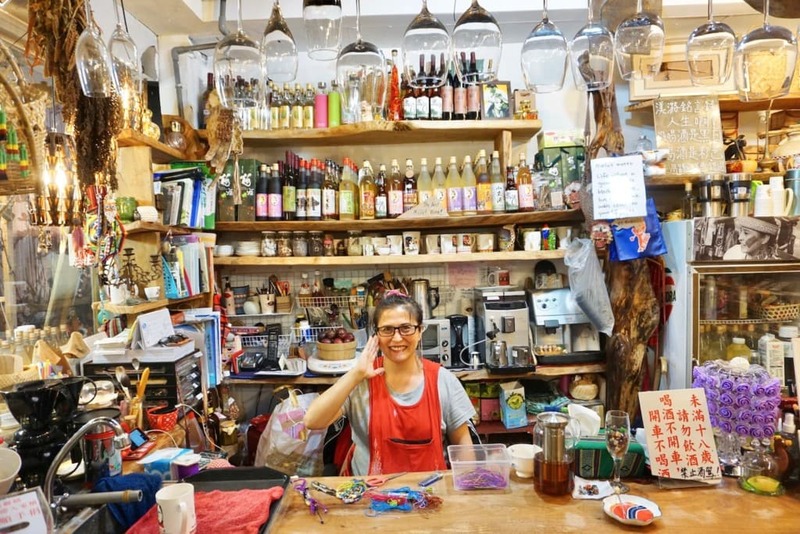 She has owned and operated this successful shop for over 20 years offering a wide array of services from serving coffee, rice liquor and hand-weaving classes. Additionally, tied to her shop is an out-door garden for guests to enjoy the view of Wulai. It is in fact very common in Taiwanese culture (and same with Taiwanese-Americans) to meet strong, independent, entrepreneurial woman like her. 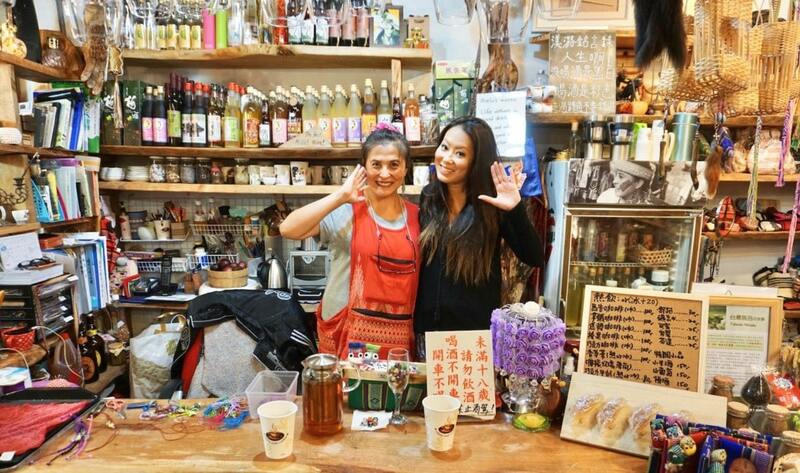 Despite the alpha female persona, the classic Taiwanese hospitality remains. Upon entrance, her bubbly, vibrant personality radiates the room welcoming you in. Mei-Lu introduces her shop and all that she has to offer. 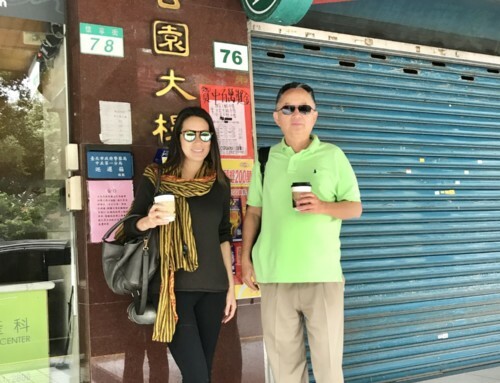 Learn about the locally grown coffee as the conversation naturally leads into learning about the local rice & millet liquor which I was naturally more curious about. 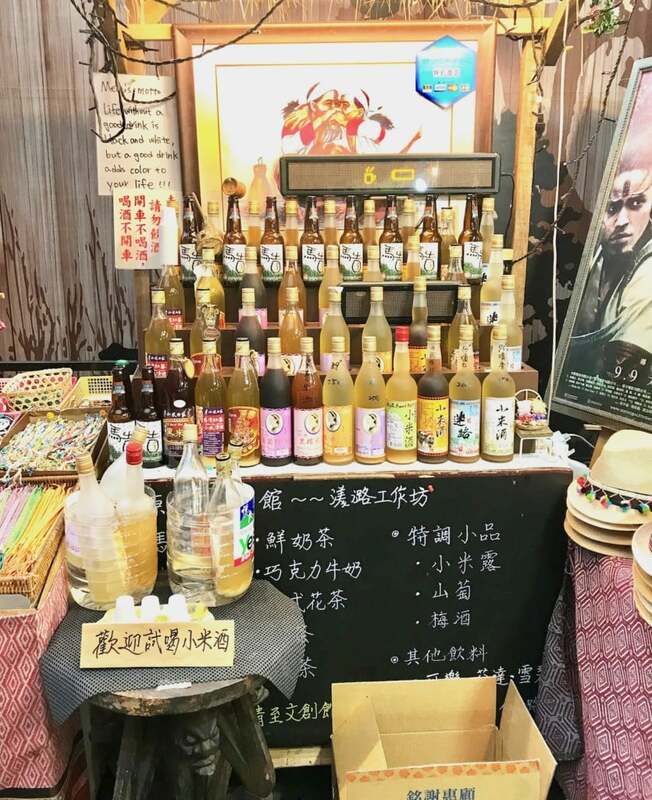 She offers a tasting of the liquors, her favorite being the “Áh-Mà Rice Liquor” made by elderly women residing in the near-by mountain villages (tastes like a sweet moonshine). 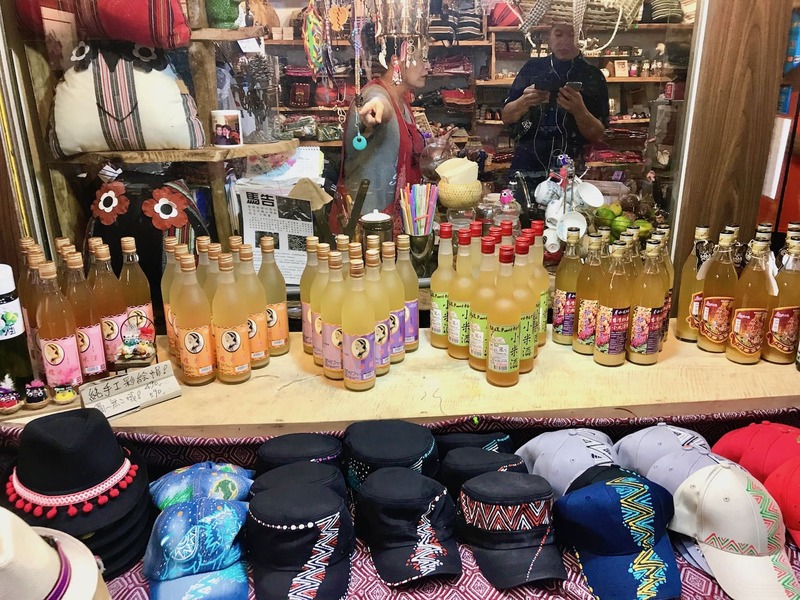 Shop at her souvenir shop selling hand-weaved bags and clothes as she prepares you a cup of coffee which takes some time, made with extra love. 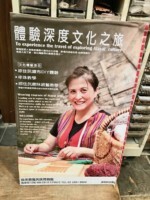 She also offers Hand-Weaving classes. Email her if you are interested at MeiLu1228@yahoo.com.tw. Sit for as long as you would like as Mei-lu loves to chat and learn about what part of the world her guest is visiting from. You could also learn a lot about Atayal culture. She shares stories of her ancestors who are rooted from this land formerly known as “Formosa“. The Atayal People in Wulai are mainly devotees of the Christian religion. Mei-Lu is an ever cheerful lady who references quotes in passing which reveals her passionate faith in God. She will share how Christian Missionaries have helped revive her home town of Wulai in the past century through education and medical care. For a Day Tour of Wulai or other awesome tours, I recommend hiring MyTaiwanTour. 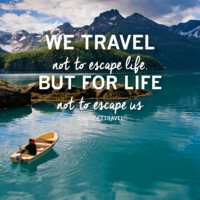 Tours typically start at $100 USD. It includes pickup from hotel, day tour, lunch, hot springs and a personal tour guide. Request Joshua Samuel Brown, an American expat who has resided in Taiwan off and on for the past 20 years. 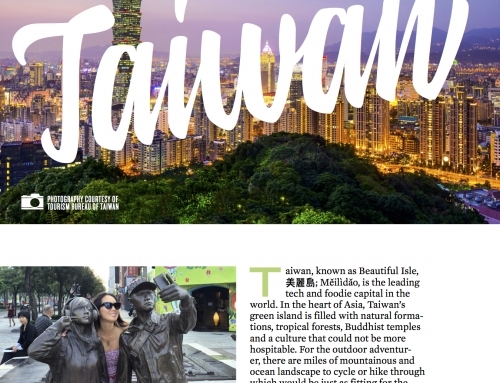 Joshua is a human encyclopedia of Taiwan who’s authored or co-authored four books on Taiwan including two Lonely Planet Taiwan Guidebooks.